Cycling back before you know it — it’s the International Ski Federation (FIS) 2019 Nordic Junior/U23 World Championships in Lahti, Finland which gets rolling with a U20 classic sprint this Sunday. In our quest to check in with some North American athletes in Finland, we emailed a list of quick hit questions. Twenty-two-year-old Evelina Sutro lands in Lahti as a Worlds rookie. Sutro holds Swedish-American dual citizenship and spent high school studying and skiing in Sweden. She is originally from Carbondale, Colo. Currently she attends school at the University of Vermont. 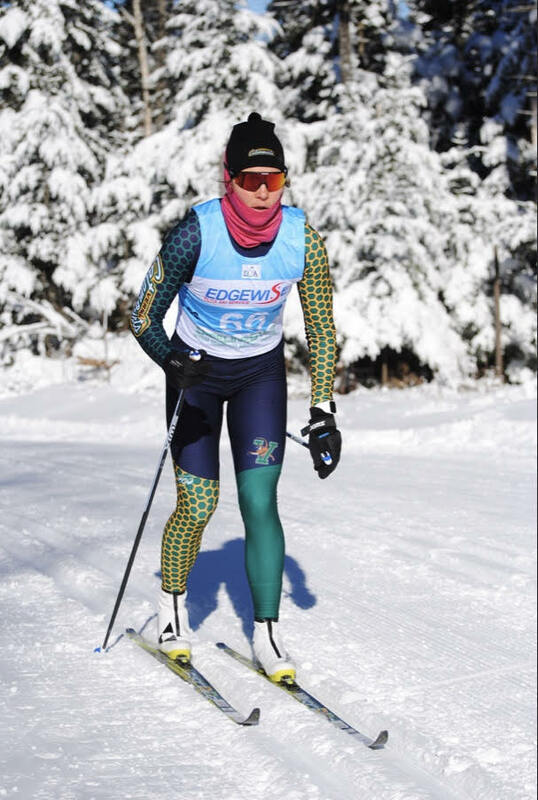 She was recently named the Eastern Intercollegiate Ski Association (EISA) Women’s Nordic Skier of the Week. Do you recall when you first set World Juniors/U23’s as a cross-country skiing goal? I first set U23 championships in Finland as a goal while planning for the 2018/2019 season in April of 2018. Stress can be tough to deal with as a junior. That said, how do you best deal with stress? I best deal with stress by listening to good music, watching a good show or hanging out with friends. How do you best distract yourself from racing? When I am not racing or training I am usually pretty busy with school work. What are some “performance goals” going into the races you are focusing on? Going into the races this week some goals of mine are racing to the best of my ability and being able to leave everything on the race course. Also enjoying Lahti and the people I am here with. Who best supports you when a race doesn’t go the way you envisioned? When I have a race that doesn’t go as planned my best supporters would be my parents and teammates. Who is the first person you call/text/email…etc. when the race goes well? First people I text when a race goes well would be my parents. Outside of skiing, what would you rather be doing? If I am not cross country skiing I really enjoy alpine skiing, especially back at home in Colorado. What are some outcomes from your first Junior Worlds that you would consider a success? I would consider having fun and the feeling of having a good race to be a successful U23 trip. Favorite method of recovery when you are racing? Favorite method of recovery would be a nap, either post race or post training, napping is always a favorite. How did you pass the time on your flight to Europe? The trip over to Europe went by fast thanks to a wide variety of movies on the plane.